The Zune portable media player is shipping very soon and what better way to celebrate with Microsoft releasing a brand spanking new desktop theme for Windows XP! The new Zune theme is a really nice looking theme. Make sure you go ahead and download it as it won’t be available for long. 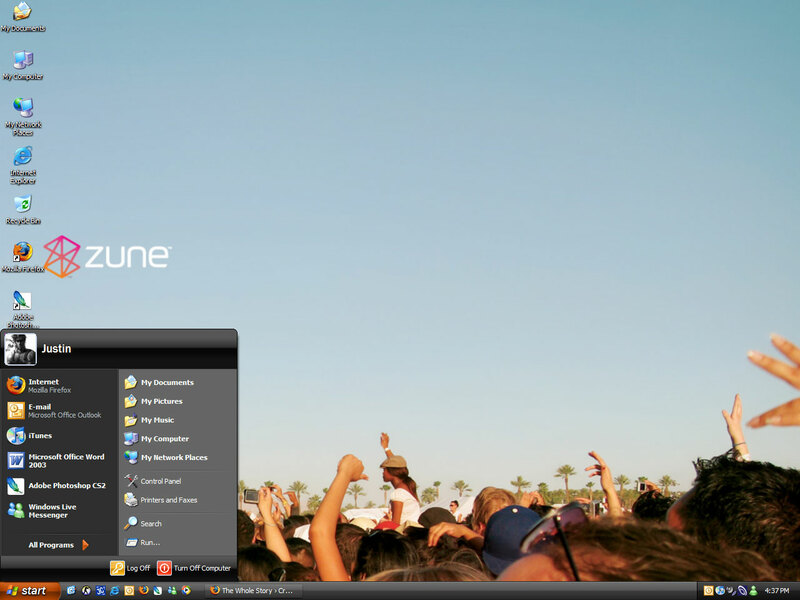 The Zune Desktop Theme (for Windows XP) is available for download here. November 3, 2006 in Internet, Software, Windows. I’m using this theme too 🙂 And I love it. Another friend of mine recommended it to me. I like the theme but I hate the wallpaper. looks like the vista black theme. Yeah it does look like the vista theme in a way which is always nice, but still retains some xp’esque stuff too! oh.my internet speed is dial up.FROM IRAN!